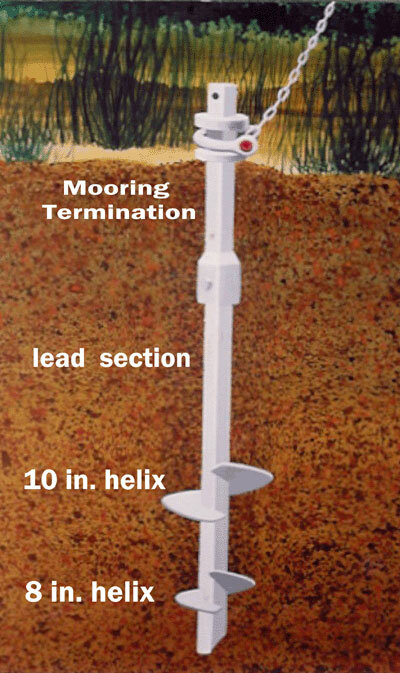 Helix anchors derive their holding from the soils into which they are screwed. The square shaft Helix anchors are installed with the aid of hydraulics to screw the anchor through resisting soils. Helix anchors have been repeatedly tested and proven safe by Mother Nature and tugboats with load measuring equipment. The Seaflex Elastic Rode is a 34 year old Swedish product of single or multiple rubber cords which will elongate and retract with water depth changes and varying wind/wave loads. These rodes are primarily used to keep a constant tension between floating docks and bottom anchors in order to prevent lateral movement of floating docks and to absorb shock loading. 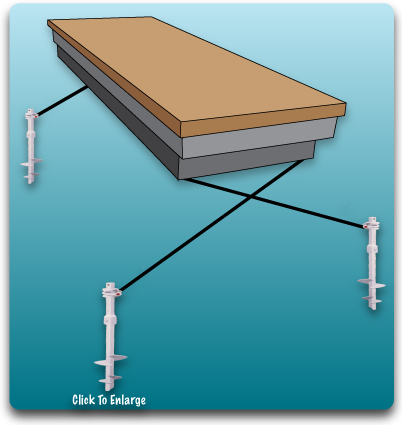 Floating docks anchored by Helix anchors and Seaflex elastic rodes do not need piles or cable winches. 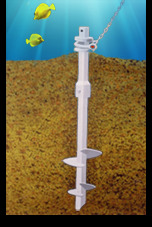 Helix anchor/rode combination can be effective in all ocean tides, moving rivers, and dam-controlled lakes for wave attenuators as well as marina docks. Helix Mooring Systems is now offering Seaflex rodes as an alternative to traditional chain, rope, and winch/cable anchor rodes.